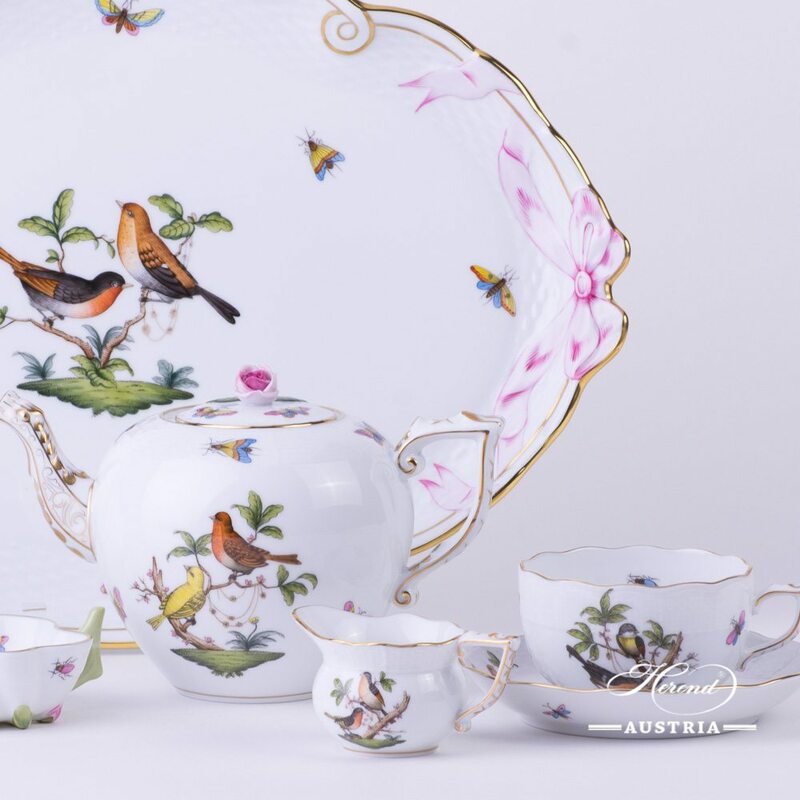 Tea Set for 2 Persons – Rothschild Bird RO pattern. 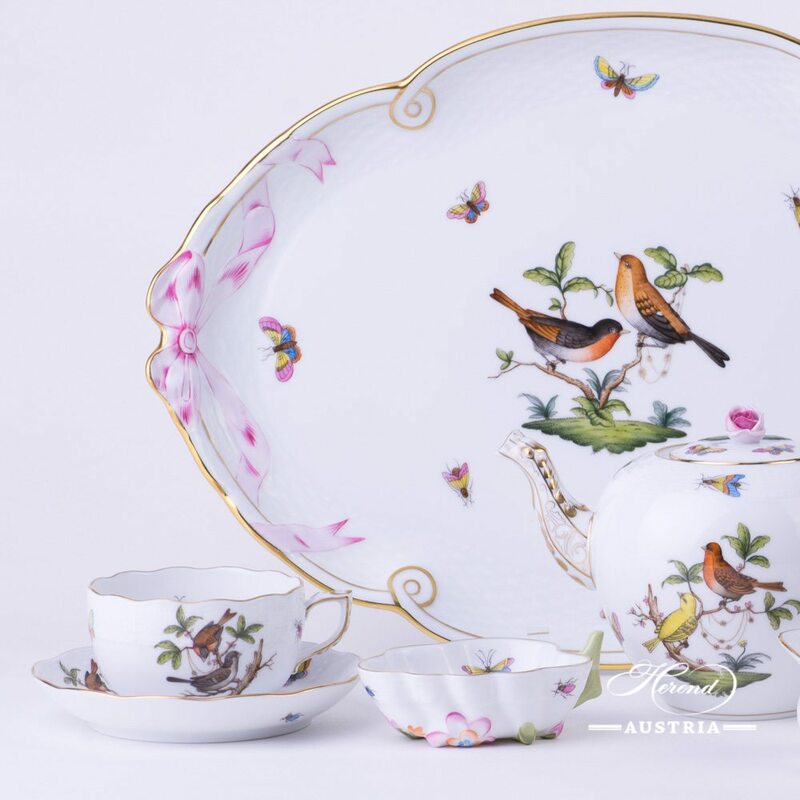 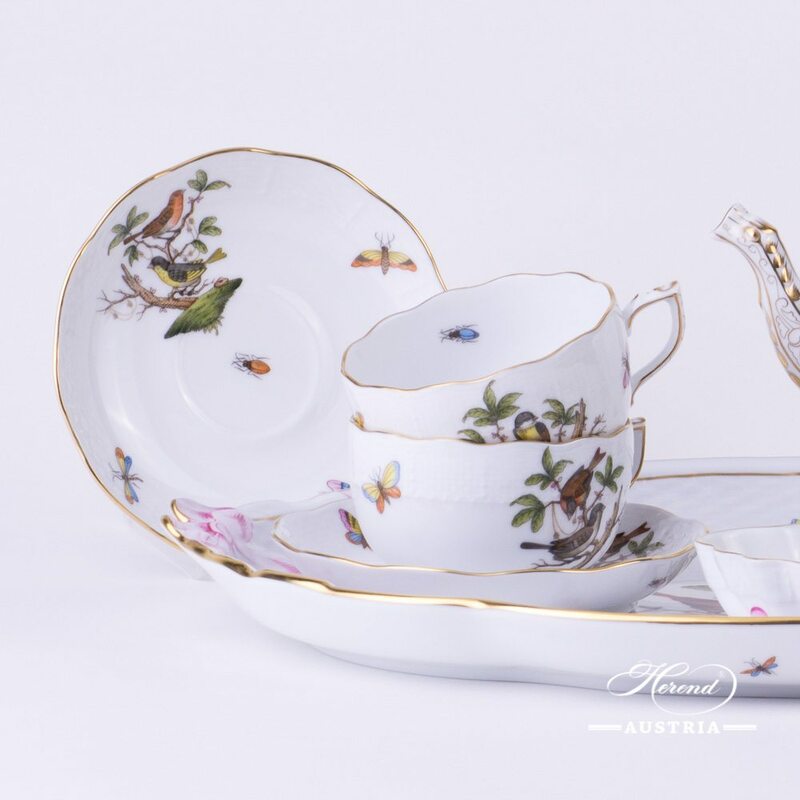 Herend fine china – Rothschild Bird RO classic design. 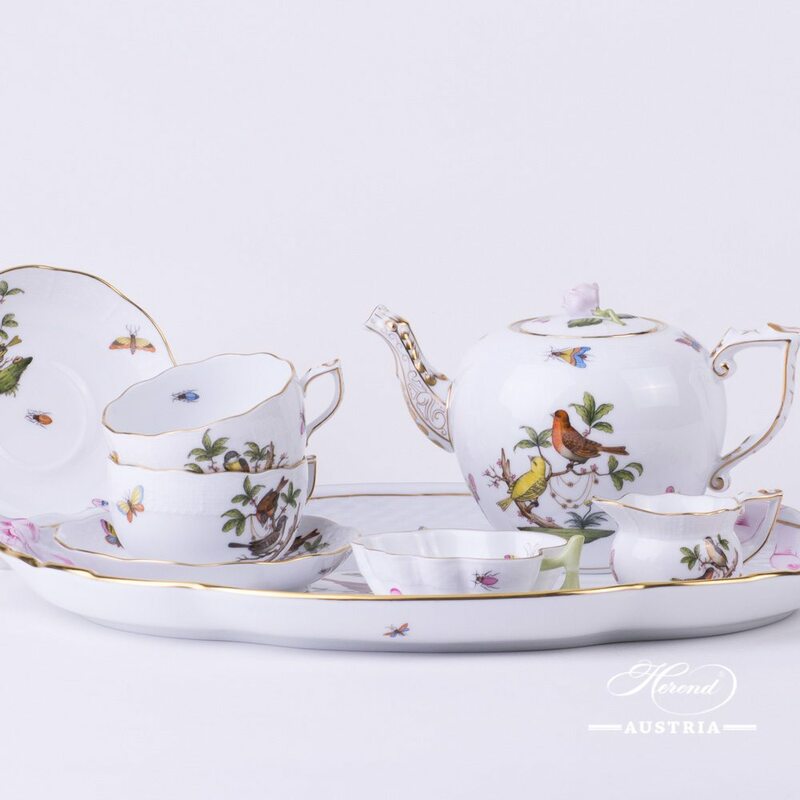 Rothschild design is a classic Herend pattern. 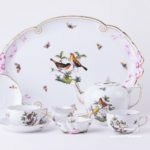 Tea Set is painted in Couple of Birds pattern. 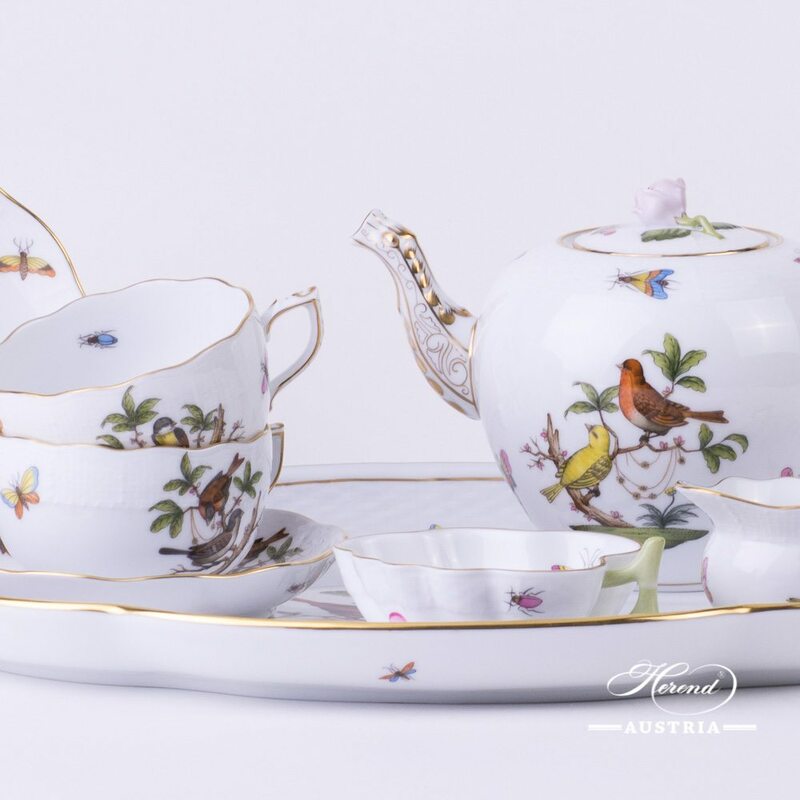 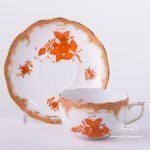 Rothschild Bird – RO pattern – Herend Tea Set for 2 Persons. 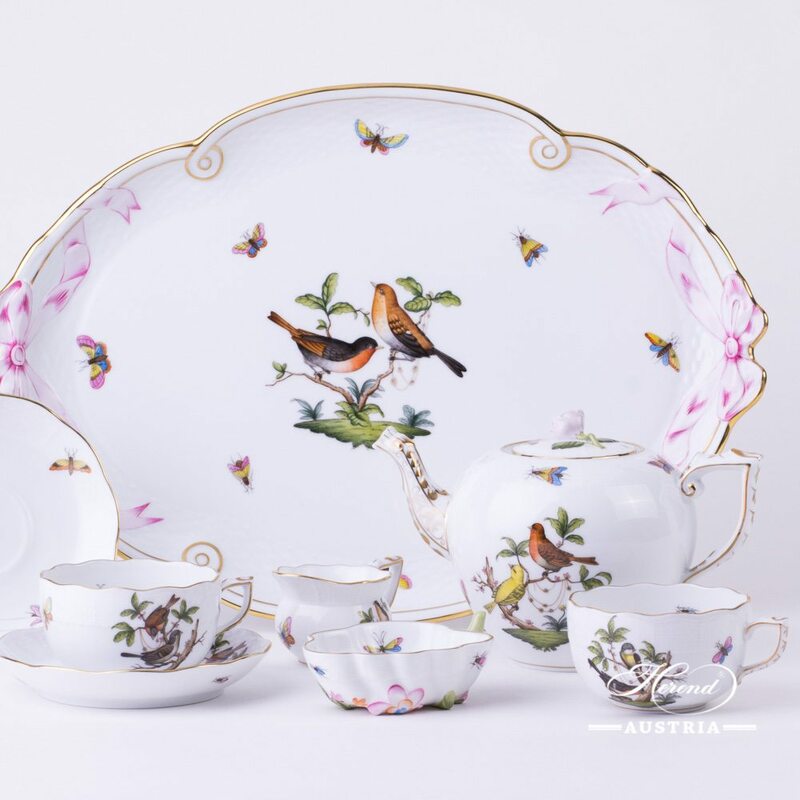 Herend fine china – Rothschild Bird RO – classic design. 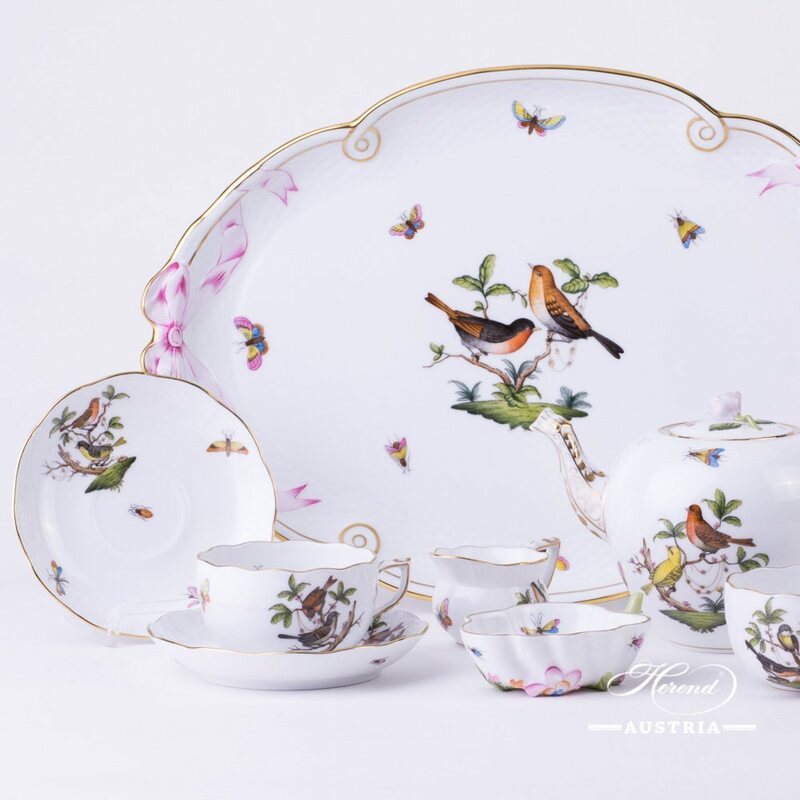 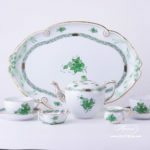 Total: 8 pieces Herend porcelain items. 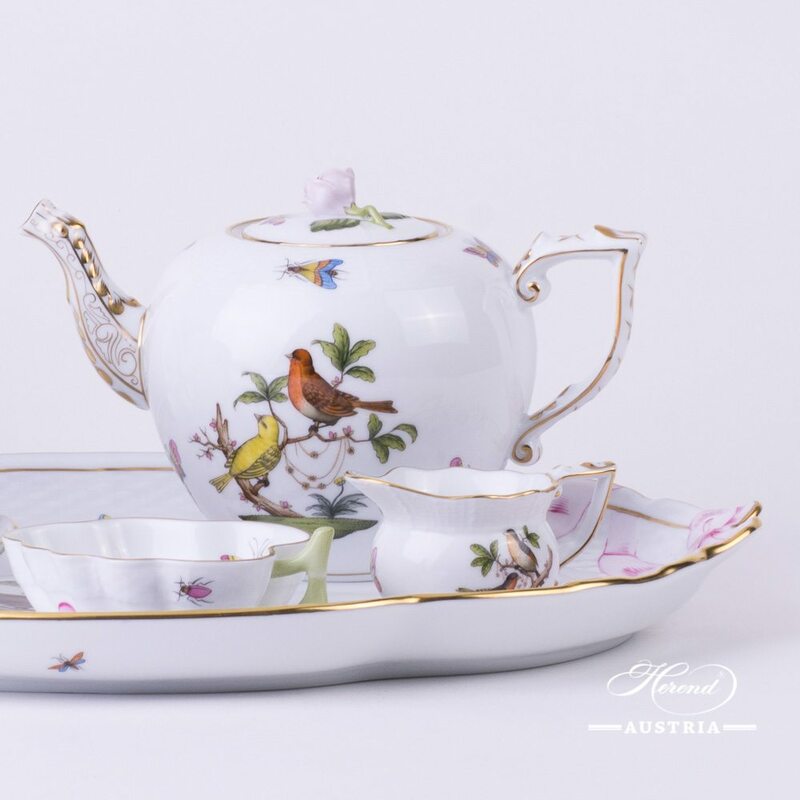 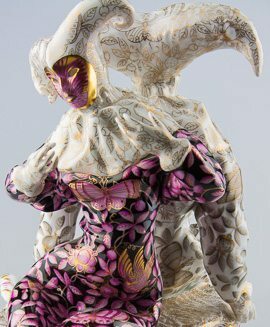 The Rothschild Bird RO Tea Set is available for more persons as well.